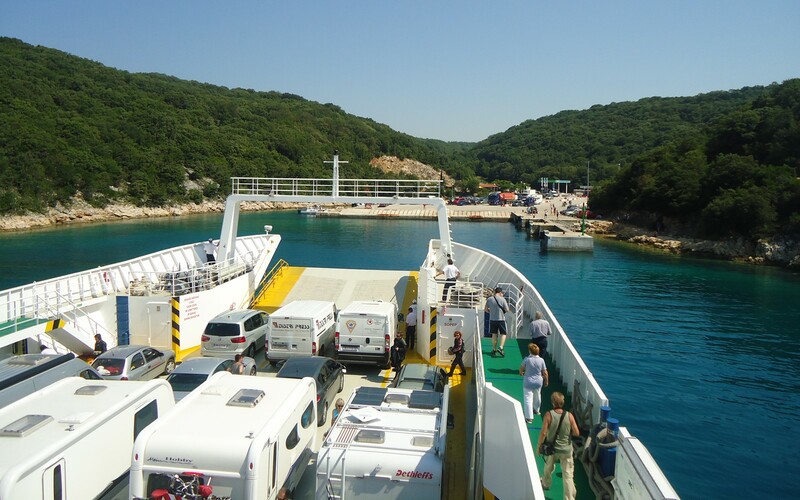 Brestova is a ferry terminal located south from the mountain Učka, on the eastern side of the Istrian peninsula, directly connected to the island of Cres (the ferry terminal in Porozina). If you’re there, you most probably want to get to the island of Cres. If you’re with car and want to get to the island of Cres and you’re coming from Italy (Trieste) or Slovenia, taking a ferry from Brestova is the best option. After you cross the border on the western side of the Istrian peninsula, follow the Istrian highway (known as Istrian Y) in the direction of Pazin and after follow the sign down towards Brestova. 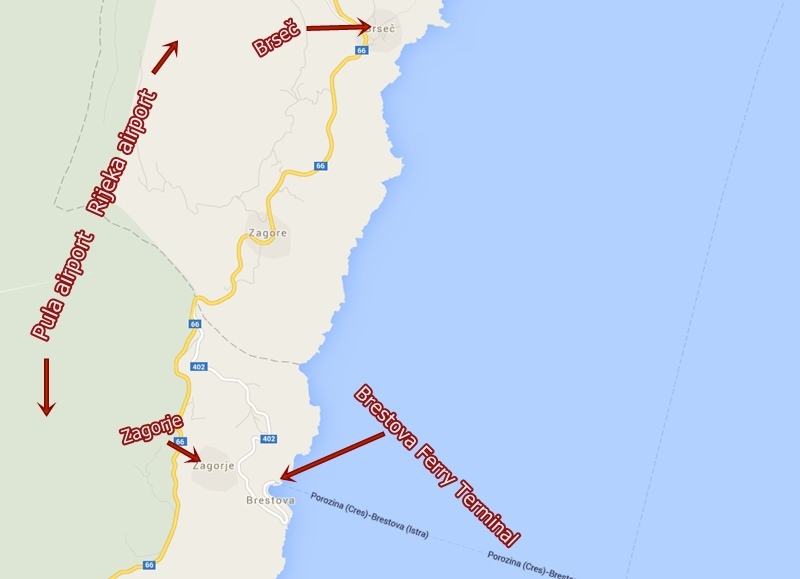 Crossing the Slovenian border at Rupa, simply drive towards the south following the sealine until you reach the sign that will lead you down directly to the ferry terminal of Brestova. When you start going down the road towards the ferry terminal in Brestova, there might be some traffic jams, especially during summer months, because all the cars that are going down want to board the ferry, so we advise you to come a little bit earlier. Since Brestova itself is basically only a ferry terminal, so you won’t find many facilities there (the villages of Zagorje and Brseč are really close – 1 km and 7 km), so if you need something before you board a ferry, you can always get it there, or stop in either one of the towns or the villages on your way to Brestova.